Editor’s note: Hussein Rashid is a native New York Muslim. He teaches at Hofstra University in the Department of Religion. He is an associate editor at Religion Dispatches, a term member on the Council on Foreign Relations and fellow at the Institute for Social Policy and Understanding. Dzhokhar Tsarnaev, one of the Boston Marathon bomb suspects, reportedly wrote that “an attack against one Muslim is an attack against all” on the wall of the boat in which he was hiding from police last month. Variations of this refrain seem to be common among angry young Muslim men, especially those who are attracted to violence. However, such a view ignores history, religious thinking and contemporary reality. It should be seen as a crass advertising slogan rather than a declaration of belief. 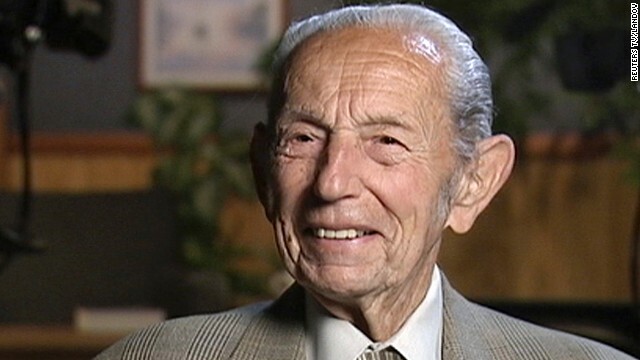 Harold Camping, now 91, is the force behind Family Radio -- and a couple failed prophecies. End times for doomsday-linked radio network? (CNN) - Dealing with a struggling radio business – this wasn’t the way it was supposed to be. By all his calculations, Harold Camping expected to be nearly two years into his Rapture revelry, hanging in heaven with God and the select others who’d been saved. But when his predicted and vastly promoted May 21, 2011, Day of Rapture came and went, and the end of the world on October 21, 2011, didn’t pan out either, Camping lost his doomsday mojo. It didn’t help that he had another knock against him, having made a similar failed prophecy back in 1994.